Kids' CBC is getting a major revamp, with the overhaul encompassing the departure of longtime host Patty Sullivan, a tweaked name and a new approach to programming. Longtime Kids' CBC host Patty Sullivan is leaving. Kids' CBC is getting a major revamp, with the overhaul encompassing a tweaked name, a new approach to programming and the departure of Sullivan. Sullivan, who has appeared on Kids' CBC since 2003, is an award-winning broadcaster who celebrated 20 years as a kids TV entertainer in 2014. 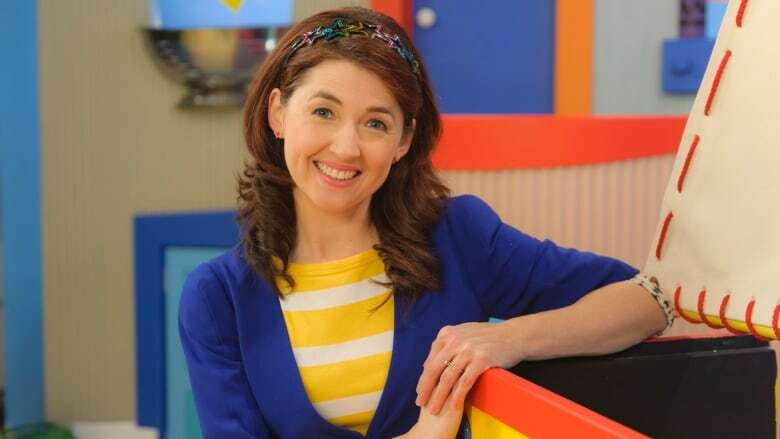 The Toronto-based host will continue to appear at Kids' CBC events this summer, including in Ottawa for Canada Day and at the annual Kids' CBC Days at the public broadcaster's Toronto headquarters on July 20 and 21. "A normal part of having a successful brand is, every so often, you examine it, determine what can we do to refresh, reach more people and change things around a bit," said Martin Markle, senior director of children's content for CBC Television. told CBC News on Thursday. The public broadcaster's morning block of children's shows will be rebranded CBC Kids, while programming created in-house will be reimagined as part of an overall drive towards creating "platform-agnostic" content. "We're always examining [our offering] and asking ourselves 'How do we do what we do better? How do we reach more people? How do we deliver content the way audiences expect it?'" he said. "We're serving children as well as their parents and caregivers." The kids block features acquired shows, originally commissioned programs under licence and interstitials produced in-house — currently including segments hosted by children's television veteran Sullivan and also regularly featuring Sid Bobb and the character Mamma Yamma (created by puppeteer Ali Eisner and portrayed since 2013 by Wendy Welch). Sullivan, Bobb and Mamma Yamma will be on-air throughout the fall, with their material to remain accessible online. CBC Kids will officially debut in the winter season. "We wanted to handle the transition in a way that is very respectful of her and certainly, she deserves the accolades," Markle said. "What we're doing is handling the remaining public appearances as opportunities for parents to bring their kids out and show their appreciation ... without zeroing on the fact that it's a farewell," he added. "We have great things in store and we look forward to sharing it with the audience in coming months. It's an exciting time."